For Honey Palladino, the holidays have lost their magic. She is sure her husband is cheating on her. Her daughter plans to spend the time with a friend. Her widowed mother sees the image of Jesus in a live oak tree. As if that's not enough, her mother is also talking about going on a Christmas cruise with some old geezer, without benefit of marriage. That would be right after she signs away the family business -- the real estate agency Honey's father built into a company worth millions, the job to which Honey has devoted her life. At her mother's condo in Boca Raton, Florida, many have recently lost a spouse and are now with "significant others," and Honey is intrigued by the promise of new love even at an old age but doubts she'll ever find another significant other after her inevitable divorce. When her mother reunites with a lost love from years before, Honey is completely undone, but the "Jesus tree" puts into motion a series of holiday miracles. Discovering what's important in life brings a message of hope for lovers of all ages. It seemed appropriate to celebrate this book with a five umbrellas as opposed to stars. Umbrellas indicated being prepared for the unexpected. Significant Others is definitely different from the holiday books out there. That said, here's the review. Significant Others is my first Marilyn Baron’s book and it is a gem. I enjoyed the fact that the heroine, Honey, is a woman of a certain age with troubles of her own. She’s forced to deal with a delusional mother who’s spotted the image of Jesus in a tree and wants to turn it into a shrine. Honey’s only goal is to get her mother back home before some high-powered billionaire gobbles up the family business. The business deadline is Christmas. A person would think Honey could get her mother back home to save the business. She has to. It is her recently demised father’s legacy to her, and all she has considering her husband is cheating on her. Her brother sides with their mother and her miracle tree. In families, things never work out the way you expect them to even on Christmas Eve. Significant Others was a fun, fast read because of the conflict, the holiday deadline, wacky relatives and the humor. I almost felt like I knew her family because they were so well-rounded. The tale does end well, but I do not want to give it away. Follow the blog hop by clicking on Hop button image, which will take you to the blog list. The more hops you visit the better chance you have to win. This beautiful cake photo is courtesy of the Sugar Plum Fairy blog. Besides shopping and cleaning, the holidays equal cooking. I am not a big baker, but I trot out the cake pans for the holidays. The first time, I made this cake the recipe made two cakes. I went to bed that night and one entire cake vanished. I will warn you it does dirty up plenty of pans and isn't on your diet. Unless you're on a chocolate diet. It is amazing! I got the original recipe out of the Sunday newspaper. Preheat oven to 350 degrees and grease and flour two 9 inch round pans. Whisk together ingredients (I used the whisk attachment on my kitchen aid mixer and I did whip the eggs for a couple of minutes before adding the rest of the ingredients) and pour into pans. Bake 30-35 minutes. Cool 10 minutes, then remove from pans. Whip all ingredients and spread between cake layers. Need a good romance to go along with your delicious dessert? Check out Escaping West, a historical romance with a gutsy hero or a contemporary short Incognito where things are not as they seem. Here's a romance sweet for the mind. I think of Kitty as the Lucille Ball of the Old West. Here's another quick look with the trailer. Thanks for looking. Join SCP Authors in saluting our veterans. Click on image to follow the tour. My grandmother would iron the flag my grandfather always displayed on sunny days. You could say my family was pro-military. My two sons are in the Army while my daughter-in-law serves in the Air Force. Two of my uncles fought in World War II. My third uncle was a career Air Force man. My stepfather's service time was in Italy. As for me, Army Reserves and more recently retired from the Civil Air Patrol as captain. With all that in consideration, my grandfather's military story is the best. Cecil was a tall, strapping Indiana farm boy. He could throw hay bales up onto a rolling wagon bed and wrestle a heifer to the ground. The recruiter’s eyes must have lit up when he saw Cecil in line to volunteer for the great war. It didn’t matter that he’d never been more than twenty miles from his home. It didn’t matter that he was fifteen years old either. My grandfather did say he was seventeen. Birth certificates were not common at that time. Before he knew it, he was training for his service overseas. Like most men of his generation, he never talked about his time overseas, but he did treasure a faded picture of a tall slender man outfitted in the dough boy uniform complete with steel helmet. His cocky smile demonstrated the photo was taken before he left the States. As a young man of fifteen, he knew something needed to be fixed in the world. He unselfishly volunteered to be one of the many who sacrificed for the good of all. Part of the reason, he never spoke of his war experiences was that he believed it was something you did, rather like providing for your family. This weekend we salute all those patriotic individuals who serve because freedom isn’t free. Each author in the blog has donated to the Wounded Warrior fund to help our recovering soldiers. Thanks for visiting. My excerpt is about a wounded warrior who finds himself back home and trying to piece his shatter life back together. Often while soldiers are overseas serving, their lives back home sometimes disintegrates. EXCERPT from The Inheritance. Read more on this site, under Tuesday Tales about how an unexpected inheritance draws to battered people together. He could have called his uncle anytime during his enlistment, but he didn’t. Pride kept him from making the call. If he contacted Roy, then he’d asked about how he was doing in the Army. The Army itself wasn’t too bad. The strict discipline, the routine, even knowing what to expect on most days, gave him a feeling of stability and belonging. It gave him a purpose when Angelique left him, taking his enlistment bonus with her. Roy warned him that the dark-eyed beauty bore him no love. His initial response was the man had no clue what love was since he was a lonely, bitter old man that no woman chose to love. Wincing, he remembered the shock on his uncle’s face. He could have hit him with a two by four and not done as much damage. Roy managed to say, “You’re wrong,” before turning away. At the time, he thought he meant he was wrong for marrying Angelique. Yeah, Levi would admit now that his uncle was right. A letter from an anonymous friend tipped him off. Angelique ran through his pay as if water while he awaited orders in a desert hellhole. That part wasn’t unexpected. Besides, he wanted to take care of his wife. He liked the idea of someone waiting for him to return. He’d idealized the woman giving her traits she did not possess. As the only civilian in the recruitment office, Angelique had access to enlistee information. Roy insisted she knew who got the better enlistment bonus. Levi’s hefty bonus for enrolling in explosive ordinance job specification could have inspired her sudden love for a man five years her junior. The fact she took off with another man using his enlistment bonus only confirmed Roy’s theory. Thanks for visiting. 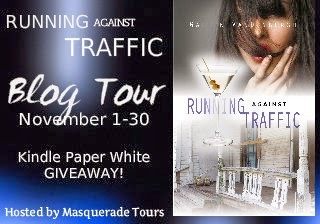 Make sure to click on the Blog Hop Image to visit other participating author sites. One random commenter will win a $50 Amazon gift card. Follow the tour to improve you chances. Click on cover to find more tour stops. As I tiptoed through the woods looking for the familiar paths that the elves had left, a high-pitched gurgling roar shattered the silence. My heart beat quicker as I heard the crack of a twig. A lizard-like creature with green scales, the size of a large dog, was giving me a sinister stare that sent shivers up and down my back. This ominous creature was unlike anything I’d ever seen or heard of in Trimoria. Its yellow and black eyes glared at me as it slowly opened its mouth and growled menacingly. The creature scratched the ground with its claws and unfurled a set of wings. I saw it gather itself for a leap. I slowly backed away. Then a series of gray blurs flew past me and the creature made a coughing sound and sprouted a pair of arrows. An elf appeared, seemingly out of nowhere, and chopped the monster’s head off. As the elf backed away, the twitching body rhythmically spewed streams of blood from its neck as the decapitated head spasmodically opened its jaws for the last time and its snake-like eyes closed. Princess Interrupted by Michael A. Rothman is a gem of a book. Why you may wonder? Well it includes all the things that make up a good tale include interesting plot line, action, conflict, and well-rounded characters. What makes it even better as a YA book is a strong female lead. Well done, Mr. Rothman. What makes it different from all the other teenage angsty tales is a character not focused on dating and social cliques. It offers the reader a lesson in growth and personal awareness. Princess Arabelle is a bit of a spoiled diva until a toxic creature bites her changing her world, as she knows it. She not only has the gift of prophecy, but the fate of her people depends on her. Princess Interrupted is a prequel to Prophecies series. I would highly recommended reading before devouring the series. There is so much to like about this book from its dynamic characters, well-drawn settings, rising action, elves and other magickal creature. It easy to understand why it is a YA treasure. Like Harry Potter, it is okay if the parents read it too. Two thumbs up and five stars for Princess Interrupted. This is one tour stop you don't want to miss for a variety of reasons. 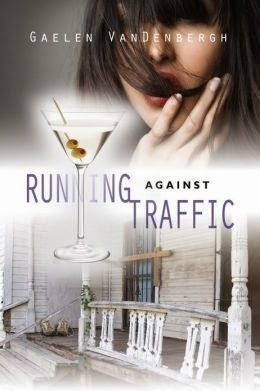 Running Against Traffic is an original and riveting tale. There happens to be a Kindle Paper White up for grabs. Follow the tour and improve your chances of winning. About The Billionaire's Will The Harlan Detective Agency was the best there was when it came to finding missing people. They were also the most expensive, so it was no coincidence that they were hired to find the heir to a fortune totaling over 1.6 billion dollars. 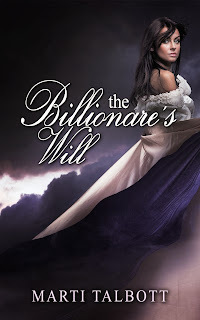 The Billionaireâs Will by Marti Talbot is not even close to the 4000 plus books currently on Amazon with billionaire in the title. Those books are more about women trying to land a billionaire. This tale is a mystery that all can enjoy. It focuses instead on a mystery granddaughter, and heir to the fortune. Problem is that it isnât clear who she might be. Only a week before billionaire William Gladstone dies he discovers he has a granddaughter. He hires the best agency to track her down. Three young women fit the profile. One has already tragically died in a car wreck. 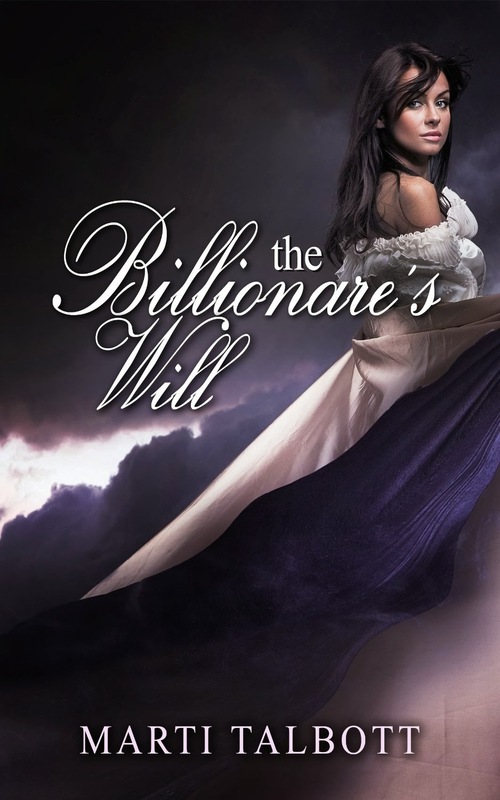 The Billionaireâs Will is a mystery with the reader unwinding the threads of the tale along with the detective agency to discover who the real heir is to the fortune. It also offers up the question how being an heiress could change either womanâs life. This gentle, thoughtful tale should provide entertainment for both young and old. It is a bit of a Cinderella tale with a surprise ending. I recommend this book to anyone who enjoys a good story. Two thumbs up for The Billionaireâs Will. Click on banner to follow the tour. Most people who participate in Nanowrimo, not only want to write a book, but they want to publish it too, and hopefully have it be crazy successful. Now, that you have your characters and a general plot line, a genre, what now? Grow your characters. Aspiring writers usually start with wonderful characters who stay the same throughout. Boring. One of the best novels that demonstrates character growth is Gone with the Wind. Most of us remember the flighty, pampered, and conniving Scarlett O’Hara. She wasn’t the most likable heroine, but she certainly promised fireworks. When she met Rhett Butler, sparks flew. Initially, the two of them were selfish people who had their own interests. The reader looks forward to more encounters. The war changed the frivolous Scarlett who had only parties and flirting on her mind. Instead, she becomes increasingly desperate with her inability to hook Ashley and the approaching war. She’s changing, which makes her dynamic character who is interesting to watch. What happens when you don’t let you character grow? We will make Scarlett an example of a stagnant character. The war comes, her father dies, and she stills worries about what dress to wear or about the lack of parties. Wouldn’t you consider her odd because she didn’t change or even react to her circumstances? Most people would call her shallow or cold when she refused to grow. Her concerns are more on keeping Tara, the family home, her family, and herself financially afloat. She does this by marrying Frank Kennedy. The conniving part of her is still there, but now her goals change. Life changes your perspective and your priorities. We realize this and expect fictional characters to be similar. Someone might point to Scarlett’s obsession with Ashley. Eventually even that changes too. She sees him not as the iconic hero, but more as a man she desires, eventually she realizes he isn’t half the man Rhett is. Finally, she sees him as he really is and is disappointed, even disgusted. Rhett changes too to allow them to come together. After he rescues Melanie and Scarlett, he goes to fight for the South. Scarlett’s points out that he ridiculed the Confederate Cause before, but now he wants to fight for the losing side. Because they both changed, it ramps up the conflict. If your characters do not act in a believable way, the reader begins to question their credibility. If this happens enough, the reader may put the story aside. This is a better result than getting a scathing review about your tale as the result of an ambitious fifth grader. Growing your characters makes them unpredictable. It allows them to have original moments free of cliché dialogue and actions. If a reader doesn’t know what to expect then he or she will keep reading. Allow your characters to have idiosyncrasies, but hold back on revealing them all at once. This will add depth to your character as you reveal them, surprising the reader. It also stops the problem of dropping too much backstory at once. Getting back to Scarlett O’Hara, she and Rhett were happy for a while. They both changed enough to value one another. Their happiness ended with the death of their daughter. Most marriages do not survive the death of a child. Theirs was no exception. Scarlet returns back to her old home. Her last lines are about the land as the only thing that matters. She’s changed 180 degrees echoing the sentiment she’d ridiculed her father for at the beginning of the story. Her character grew. Readers who may have condemned her as Civil War era mean girl, now feel sympathetic to her because of all the circumstances that forced her to grow. If you plan on using the same cast of characters for a series, don't forget to allow them all a chance to develop. Do your friends always stay the same? It is something to think about. Are you ready to write a book in a month. Here are tips from others that might help. Don't edit, you can do that in December. Don't even worry if your research is correct that is another December think. As for names, you can call him bad guy or lover until you think of actual names in December. Oh, and the Internet isn't your friend. Those little breaks to check your Facebook page, Twitter or Pinterest, take time. Set a timer. Write whenever you can. Sure, it would be great to write at your optimum time. First, you need to pick your characters. Click on image to go directly to Maris McKay's blog to learn more about each archetype. Click on image to go to heroine website. Click on image to visit website and learn more. Thank you Maris McKay, for illustrating these iconic examples with face we can relate to. For more info on the types, click on image to go directly to the hero blog. 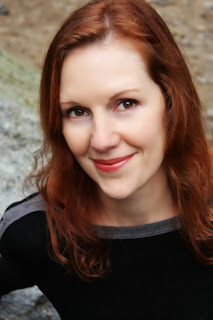 Click on image to go directly to Maris McKay's blog to learn more a bout each type of character. Thanks Maris for putting your extremely informative blogs on Pinterest. Keep in mind, your character can be a combination of classic iconic archetypes or something totally different too. It's all up to you.